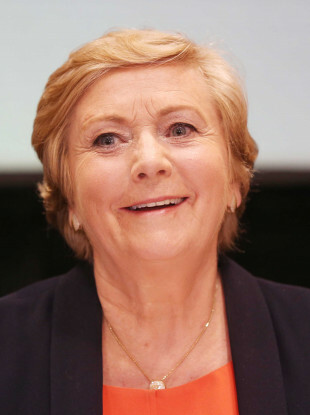 It remains unclear whether Frances Fitzgerald will step down as Tánaiste. TÁNAISTE FRANCES FITZGERALD plans to allow her name to go forward for the Dublin Mid West general election convention on Tuesday. A government spokesperson confirmed to TheJournal.ie this afternoon that Fitzgerald will allow her name to go forward despite the continuous pressure on her this weekend following the revelations of the email scandal. Fianna Fáil has this week sought to force Tánaiste Frances Fitzgerald into stepping down after it was revealed this week that she ignored an email sent to her in May 2015 regarding garda whistleblower Maurice McCabe. It remains unclear whether Fitzgerald will step down as Tánaiste. In a meeting yesterday, Taoiseach Leo Varadkar handed over documents to Fianna Fáil leader Micheál Martin in an attempt to convince him that Fitzgerald had acted appropriately. Pressure has been mounting over the course of the weekend for Fitzgerald to resign and Labour Party leader Brendan Howlin has called for the batch of documents to be provided to all parties. He said that clarity is needed to as to whether these have also been provided to the Disclosures Tribunal. He said yesterday that she has “done nothing wrong”. On Friday, he said that he would not throw Fitzgerald under the bus. While Fitzgerald still may not resign as Tánaiste, one thing is certain – it looks like we’re one step closer to an imminent general election. Email “Tánaiste Frances Fitzgerald to allow name to go forward in Dublin Mid West general election convention”. Feedback on “Tánaiste Frances Fitzgerald to allow name to go forward in Dublin Mid West general election convention”.